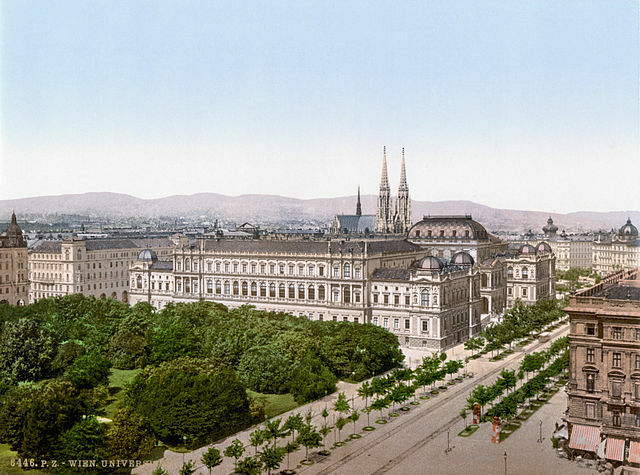 The University of Vienna (UVIE), founded in 1365, is one of the oldest and largest universities in Europe. Currently, about 92,000 students are enrolled at the University of Vienna. They can select from 187 degree programmes: 55 Bachelor’s programmes, 116 Master’s programmes, 4 diploma programmes and 12 doctoral programmes. With 9,700 employees, 6,900 of whom are academics, the University of Vienna is the largest teaching and research institution in Austria. The University of Vienna has much experience with externally-funded projects and has participated in, or is currently participating in around 180 FP7 projects. The University also hosts 25 European Research Council (ERC) grants. Furthermore, the University is involved in numerous EU Lifelong Learning projects, ERASMUS programmes and in various ERAnet projects. In 2015, the Alma Mater Rudolphina Vindobonensis celebrates its 650th Anniversary. 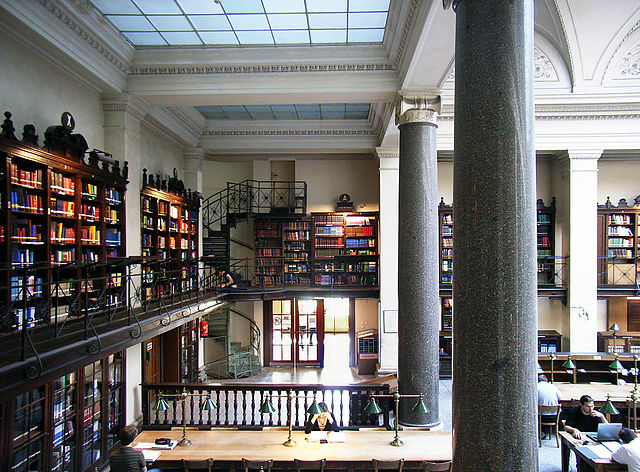 Vienna University Library and Archive Services provide a rich service infrastructure to support members of the University of Vienna in their research, teaching and learning. The Library has acquired expert knowledge and experience in the area of permanent technical innovation in academic library services. It offers the academic community of Vienna University digital asset management, self archiving and collaborative archiving solutions with a view to the mid and long term preservation of digital resources and objects. Library services include training librarians, academic and administrative staff in managing, retrieving and distributing electronic materials from institutional and distributed repositories. With “Phaidra” (Permanent Hosting, Archiving and Indexing of Digital Resources and Assets), Vienna University Library has not only developed an institution-wide repository that will interoperates with the CRIS system but one that is the core of the institutional repository of the University. Phaidra has also been developed with a particular view on open access policies. There are initiatives to develop Data and Process Management Plans, metadata schemes for complex research data and the involvement of learning objects data within the Phaidra system. Phaidra is not only implemented at several Austrian institutions, but is in use in 5 countries (www.phaidra.org). It is also offered as a content aggregation system to the Austrian scientists participating to EU-funded projects and to IPRES. Phaidra is member of COAR (Confederation of Open Access Repositories). „Universitatsbibliothek Wien Eingang grosser Lesesaal“ from Paolo Budroni, Universitätsbibliothek Wien Archiv der Universität Wien – Own work. Licensed under CC BY-SA 3.0 via Wikimedia Commons. Open Access activities: UNIVIE, a signatory to the Berlin declaration, established an Open Access Office in 2008 and an Open Access Board in 2012 (to give strategic direction to OA at UNIVIE). Members of this Board are from the Rector’s Office, the University Library, Research Service and Carrier Development Quality Assurance and researchers from five different academic departments. Involvement: COAR, SPARC Europe, SCOAP3, arXiv.org, LIBER, openaccess.net, OpenAIRE and OANA (Open Access Network Austria). Through the OpenAIRE project the University of Vienna can offer expertise in technical, legal, strategic and content issues in regard to open access. The University of Vienna Library is in close contact with the NRP of Austria and the main funding bodies of the country (FFG and FWF). Project “e–Infrastructures Austria”: Since 2014 the University of Vienna Library has been the coordinator of the three-year, nation wide project e-Infrastructures Austria which involves 26 partner institutions. The overall objective is the coordinated establishment and development of repository infrastructures for digital resources in research throughout Austria. The initial situation at the participating scientific institutions is very heterogeneous. Through networking and pooling of expertise and resources, a network of knowledge and expertise is created, which fosters the development of repositories, enables the expansion of technical systems and services, and addresses issues introduced by these institutions. e-Infrastructures Austria is intended to be a long-term model of inter-networked repositories. Emphasis is particularly placed on the handling of complex data such as research data and multimedia content. The University of Vienna, founded in 1365, celebrated its 650th anniversary in 2015 by hosting a variety of events and opening its doors to the public. This anniversary celebrated the university’s extensive teaching and research activities. The University of Vienna currently boasts 9,700 employees and more than 93,000 students. About 95,000 people attended the anniversary events, and highlights included a three day on-campus festival, exhibitions, art performances and a lecture series. Topics included the history of the main building, the victims of the Nazi regime at the University of Vienna, and the lack of visibility of women in the academic sphere. On “The Living Book Day” at the University Library, former students of the University of Vienna were interviewed by visitors about their career paths.